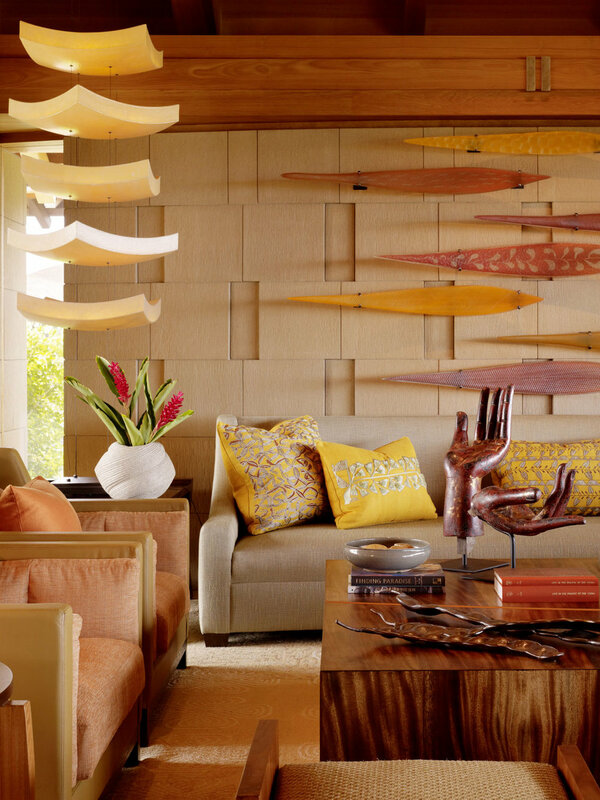 This Hawaiian home is the ultimate in relaxation for a Southern California couple and their family. 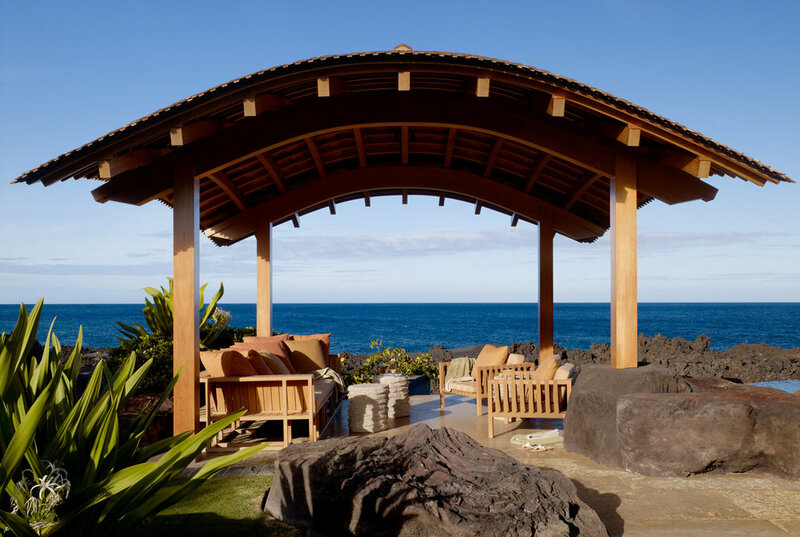 It is a property with multiple hales ('ha-lays'), the Hawaiian word for house or dwelling. 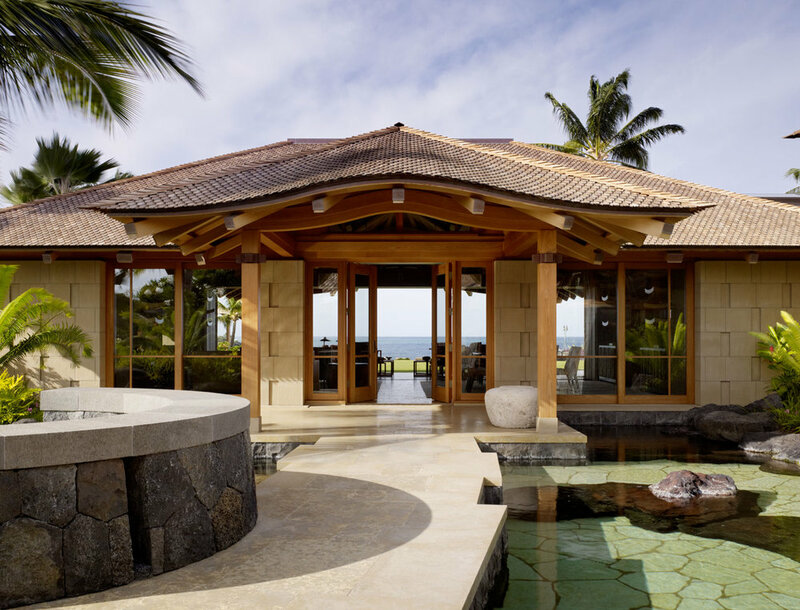 Curves or arcs in the stone walls and architectural features, when viewed in plan, reflect the motion of Hawaiian winds and water. 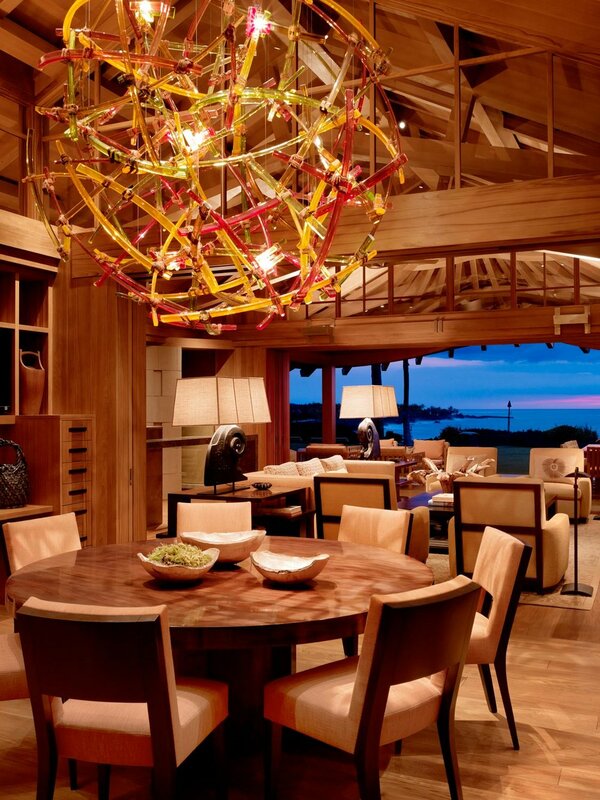 Custom lighting and furniture details were also created with this arc theme in mind. Ceiling configurations are based on an ancient Japanese design, while custom carpets were produced to reflect the drifting motion of kelp beds. 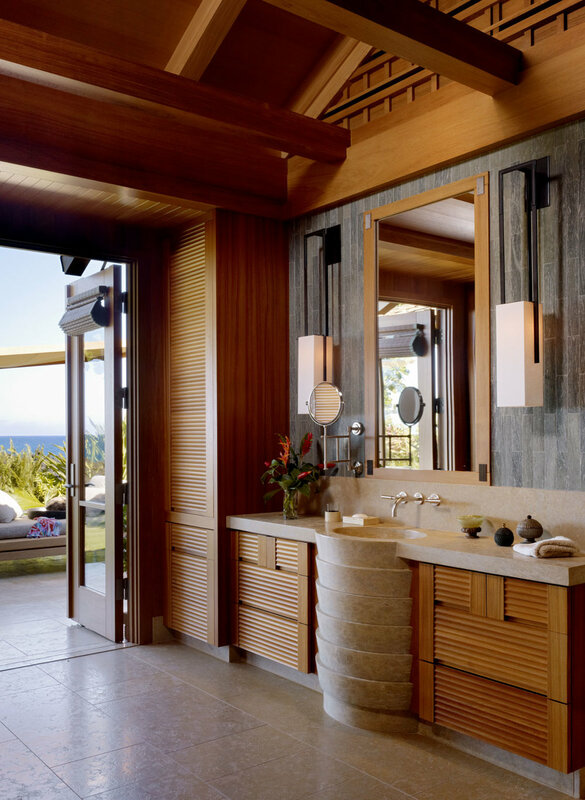 Pocket doors throughout disappear to maximize outdoor living.